Martha is thanking Miss McLean for her gift of clothing sent around the time of Christmas and also wishing her well after hearing that she is sick. 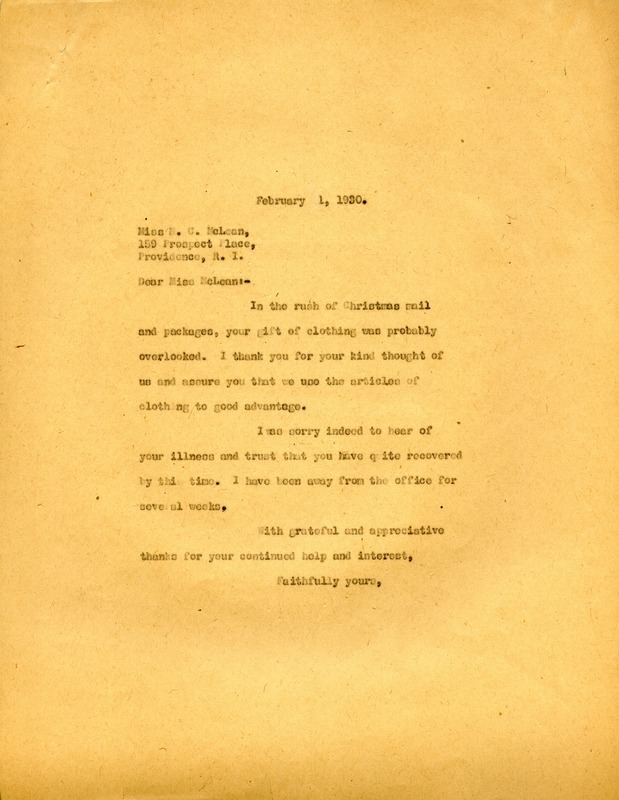 Martha Berry, “A Thank You Letter From Martha Berry to Miss McLean.” Martha Berry Digital Archive. Eds. Schlitz, Stephanie A., Jordan Brannen, Aaron Nicholson, et al. Mount Berry: Berry College, 2013. accessed April 18, 2019, https://mbda.berry.edu/items/show/13179.